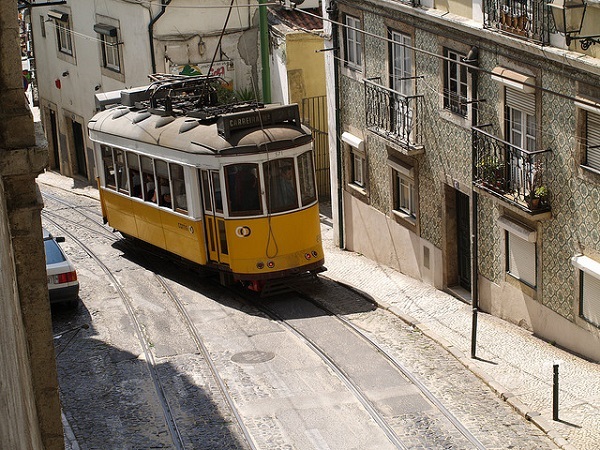 Hop on the famous yellow tramway to visit Lisbon, the portuguese capital, in an authentic atmosphere! Travelling via the tram line in Lisbon is both an authentic and useful experience: the (electric) trams – which came into service in August 1901 – take you effortlessly up the steep slopes of the hills of the Portuguese capital. There are five different lines (12, 15, 18, 25, 28), though the last one, line No. 28, is by far the most famous. Initiated in 1914, Line No 28 serves the hills and the centre of Lisbon. 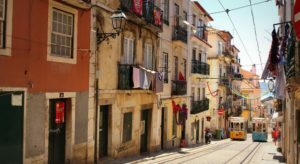 – Transport in Lisbon: How to get around Lisbon? Tram No. 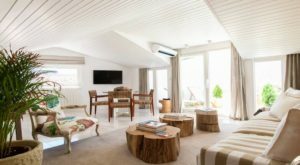 28E will take you to St. George’s Castle, Alfama, Lisbon Cathedral, São Vicente Church and other parts of the city, such as Bairro Alto. A ticket for Tram 28 costs €2.85 and allows you to visit and roam across Lisbon in a pleasant and unique way. 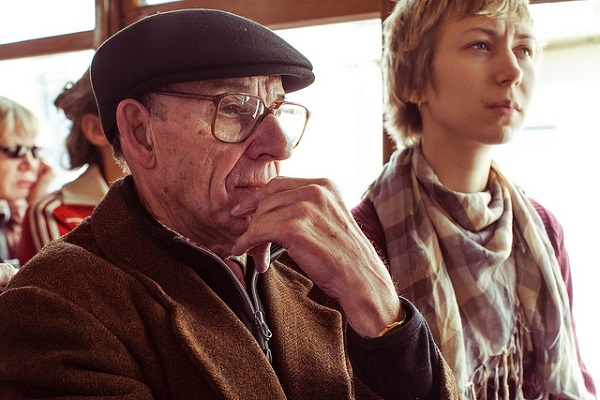 However, be aware that the tram is always crammed with passengers in the summer. 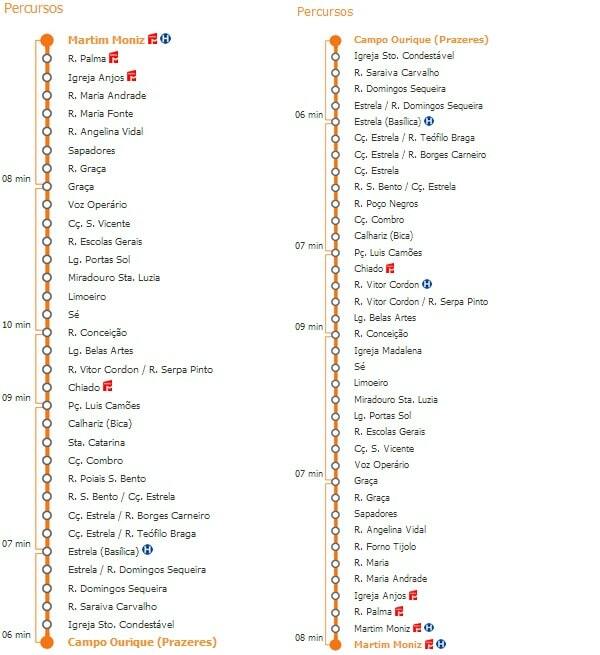 Here is a map of Tram 28 in Lisbon, featuring all the stops of the line. The journey from Martin Moniz to Campo Ourique takes 40 minutes. The return journey takes 37 minutes. 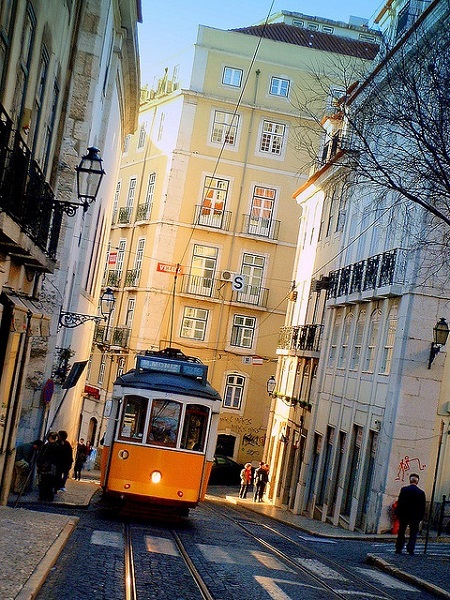 Tram 28 runs through the narrow streets of the centre of Lisbon, so you will sometimes have to lean close to the wall. 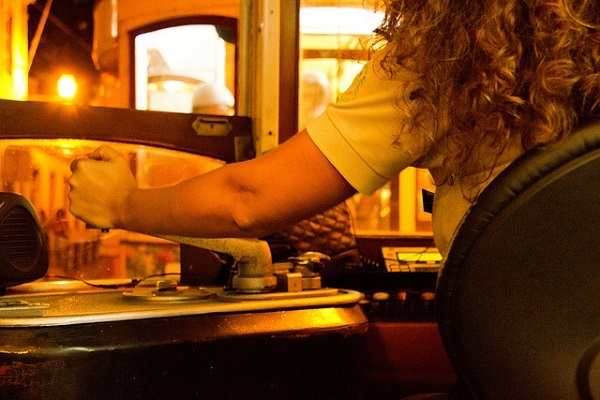 The yellow wagon also runs at night… Here we are in the driver’s cabin. Both tourists and locals travel via this mythical line to get to one of the districts served or a site of interest in the White City. 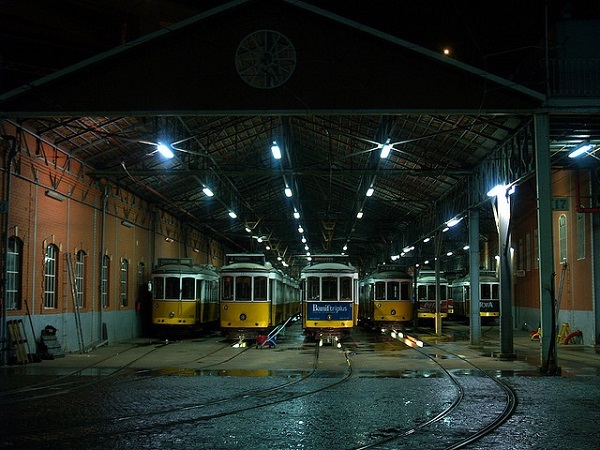 The Lisbon tram depot is located in the Alcântara district. 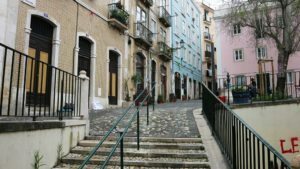 Lisbon is a city where walking can be quite tedious because of its elevation difference. Make sure you choose a fairly central hotel in the right neighborhood and take a good look at the tram stops so you have time to cover the whole city! 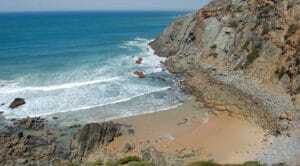 To compare all hotels in the city, you can use this hotels aggregator. 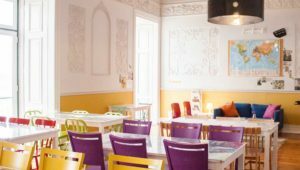 To find a flight to Lisbon, you can use the Skyscanner flights aggregator which compares all flights to Lisbon from France.